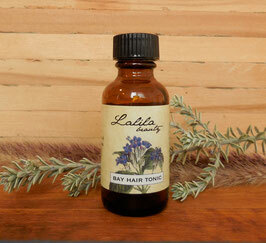 Bay Hair Tonic contains essential oils that prevent hair loss and promote hair regrowth. This product also cleanses and conditions the scalp, prevents follicles from clogging, and helps maintain proper levels of natural oils for a healthy scalp. Bay Hair Tonic has a soothing herbal scent that is citrusy with a prominent bay leaf note. To use, gently massage 15-30 drops onto scalp and leave in overnight. Wash out with a gentle shampoo the following day. 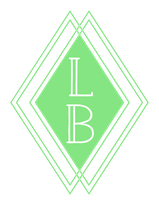 Be sure to wash hair with lukewarm water as washing with hot water can result in excessive hair shedding and stripping of natural oils. Use Bay Hair Tonic 2-4 times per month, or as needed.